Natural wood construction kit The beige upholstery is included. 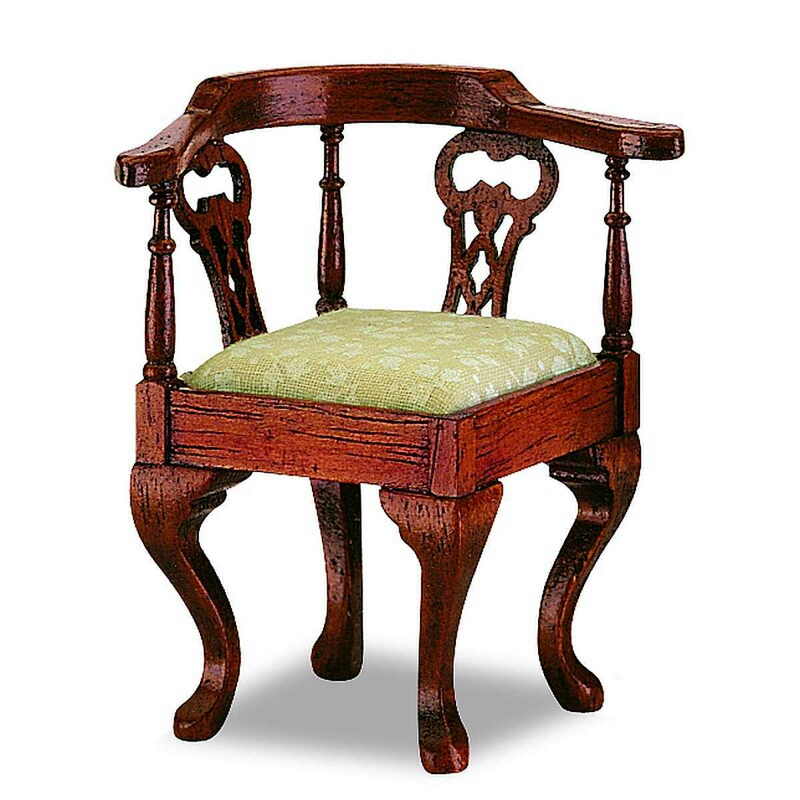 Alternatively, the corner chair can also be covered with other fabrics, as shown, e.g. with a fine glove leather, which is not included. 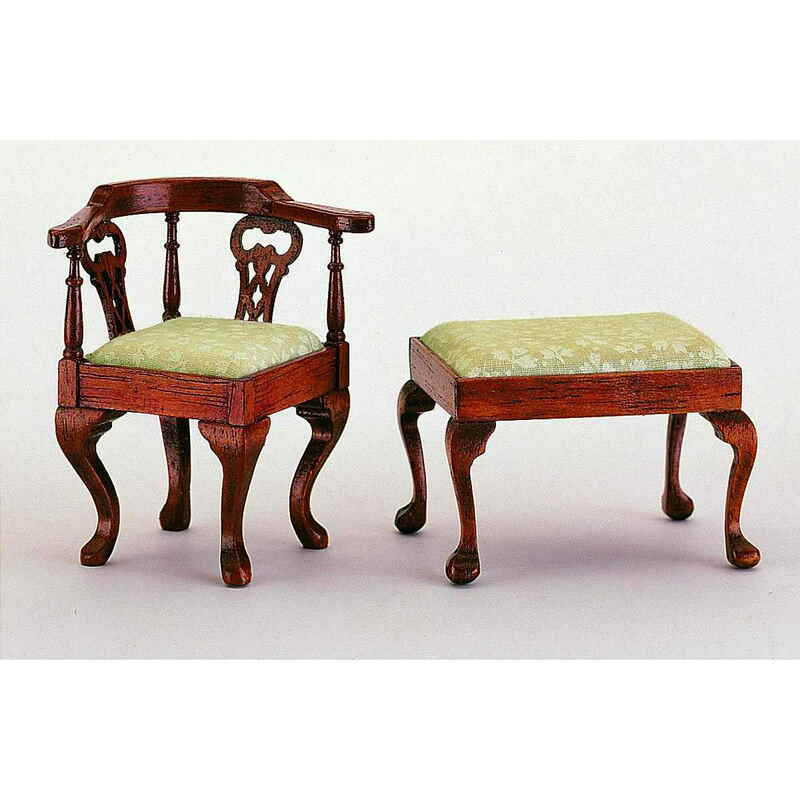 The small Chippendale stool (40031), the Chippendale longcase clock (40083) and the English writing desk (40075) are not included. The furniture kit (of natural wood) includes a genuine leather inset for the table top. The drawers can all be opened. The beautiful MiniLux desk lamp can be found under item no. 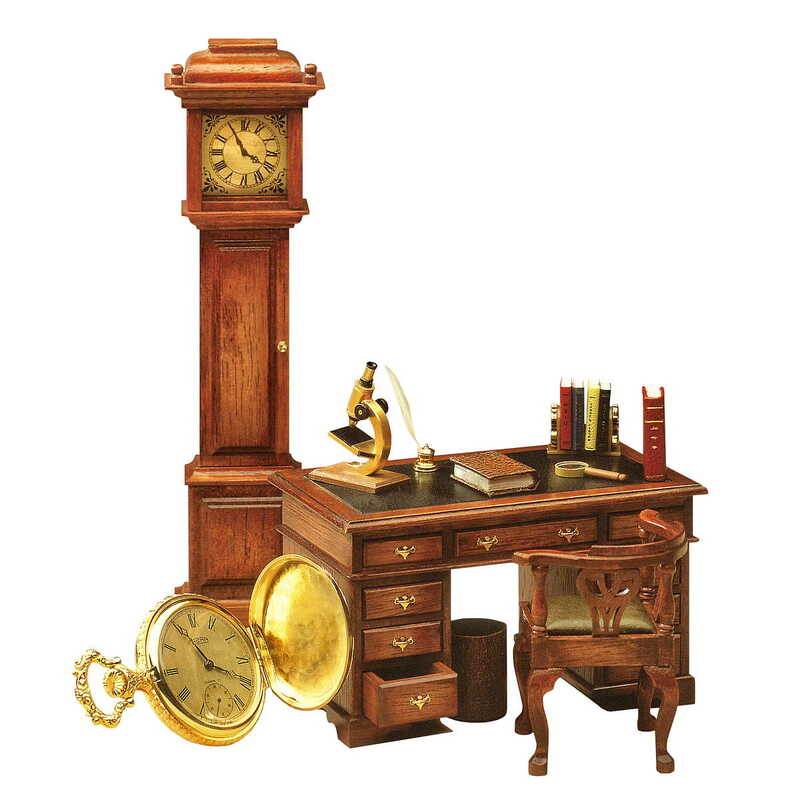 25930 and the gold-plated brass desk set with inkwell and real nib as well as the corresponding ink eraser are available under item no. 17800. 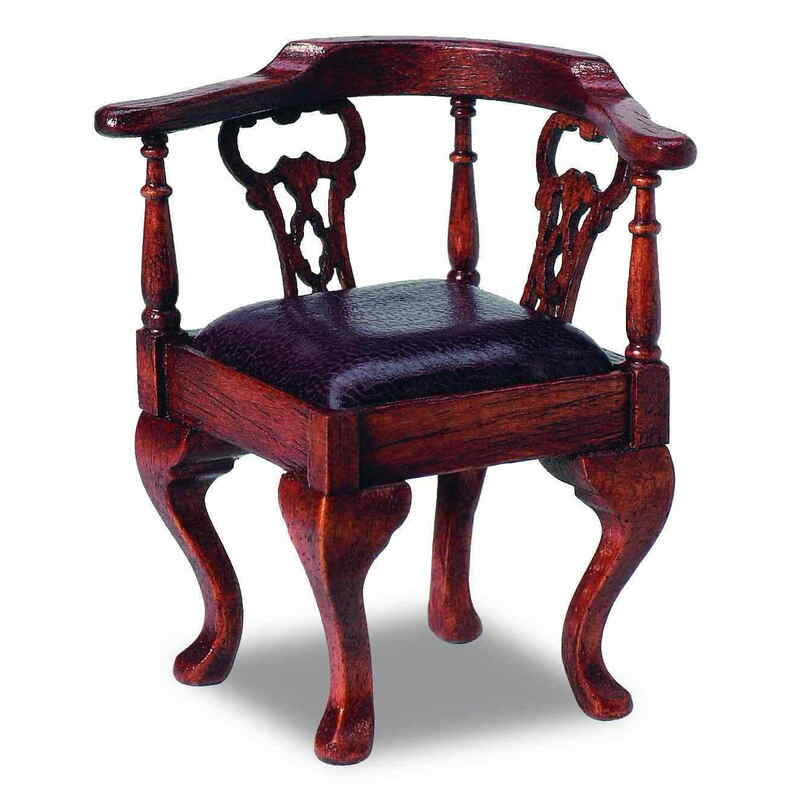 The small Chippendale corner chair (40031) and the Chippendale longcase clock (40083) are not included. By simply clicking on the product image you will get a large image. The beige upholstery is included.